Two local estuaries are now a step closer to securing federal funding for the next fiscal year after some uncertainty about whether they’d be included in a final federal budget given cuts in Environmental Protection Agency appropriations proposed by the White House earlier this year. Editorial: Is the Peconic Estuary protection group really necessary? Municipalities at the local, county and state level have formally joined forces — and pooled resources — to protect the Peconic Estuary in the face of a variety of challenges including stormwater runoff, outdated septic systems and nitrogen pollution. The East End’s baymen — at least what’s left of them — are getting a hand from local governments, which are trying to open up shellfish beds that were designated as polluted by the state but could actually be quite clean. Several million dollars in the state’s newly passed $142 billion budget has been allocated to fund water quality initiatives across New York State, including two projects on Long Island. 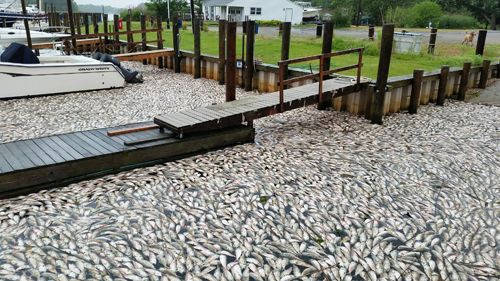 The state budget includes $5 million in funding to create The Long Island Nitrogen Mitigation Plan, a comprehensive strategy for mitigating nitrogen pollution in Suffolk and Nassau county waterways. Words such as “crisis” and “urgent” often lose their currency when public officials spend them as freely as sailors on sprees.